“Like the sun colors the flowers, so does art color life”. enjoy my colorations and beauty. An opening word by the chairman of the Dutch Ceramic Association. 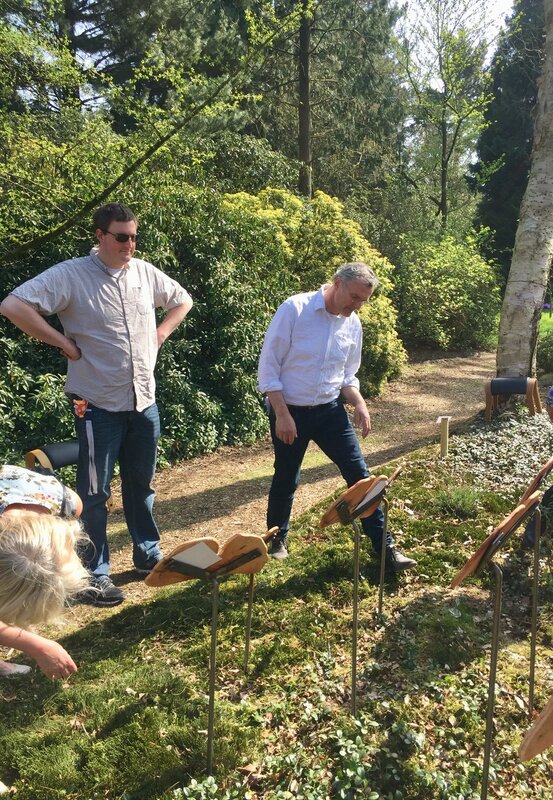 Yesterday, was the opening of the exposition of "Praise to Nature" (Ode aan de Natuur) in the National Treemuseum Von Gimborn Arboretum in Doorn in the Netherlands. 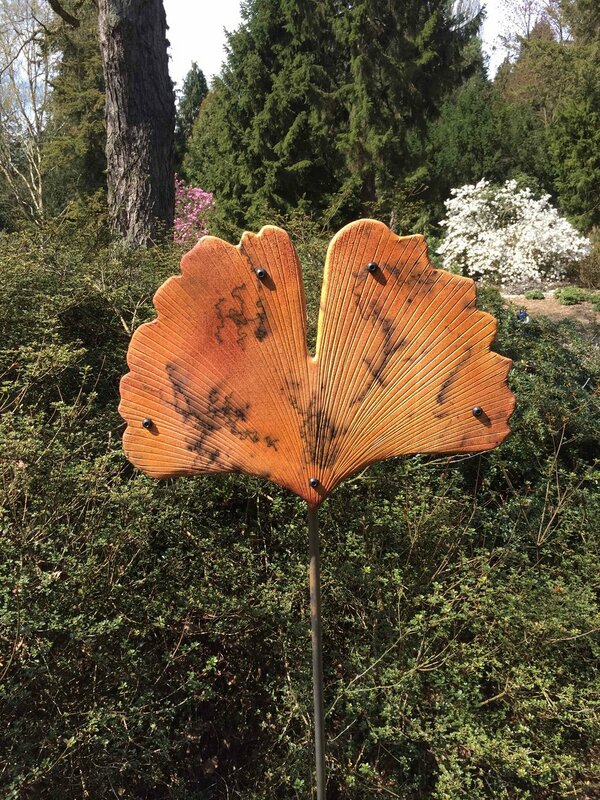 I participate with my installation of "Rays of Light" Horsehair Raku GINGKO leaves. It was a beautiful day!! And family and friends came to congratulate me. To show how tall the leaves are. Checking: how is it attached? Last Friday I went with 2 friends to the Princessehof National Museum of Ceramics in the city Leeuwarden, a 2-hour drive from Amsterdam. It is home to some of the world's most beautiful ceramics. From a world-renowned collection of Chinese porselain to the rich Art Nouveau ceramics collection, artists such as Karel Appel and Picasso and exciting exhibitions with contemporary art and design. 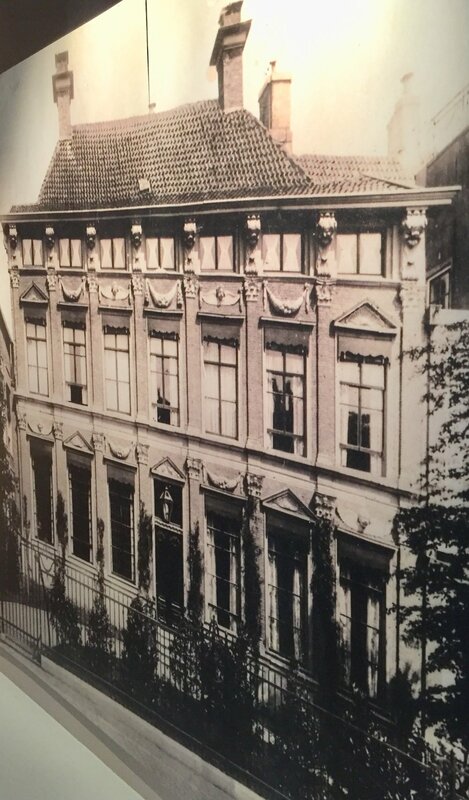 The museum is housed in the 18th-century palace of Marie Louise van Hessen-Kassel, Princess of Orange-Nassau. Leeuwarden this year 2018 is the European Capital of Culture! The museum is big and airy and beautiful! A Dutch Friesian landscape painted with cobalt like the Delft Blue ware. 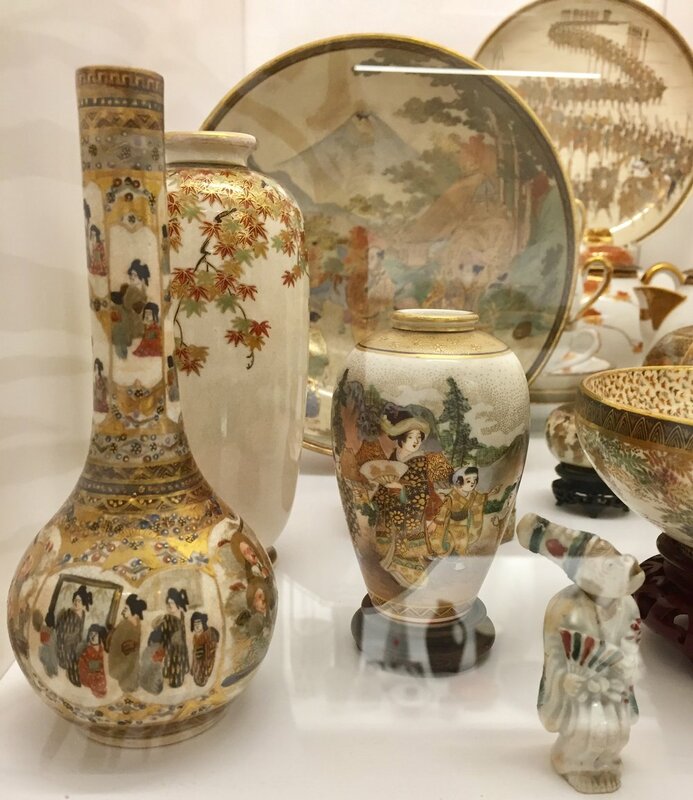 Some beautiful Japanese Satsuma Porcelain ware. So many beautiful tiles and of course the Dutch ships are magnificent! Some Friesian low fire red clay ware decorated with color slibs. There was this special IN MOTION Exhibition. The HIGHLIGHT was the installation of Celeste Boursier-Mougenot. it was ASTOUNDING!! He plays on the senses with "Variations" installation, consisting of white porcelain bowls floating in a basin filled with intense blue water. It is a feast for the eyes and interplay of sounds like bells. 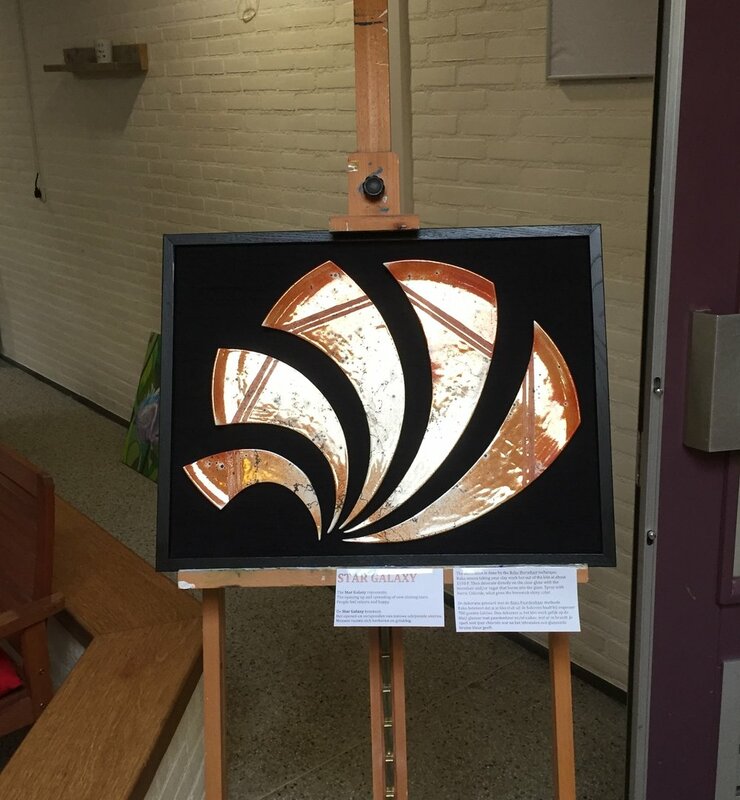 Yesterday I put my installation of the Raku Horsehair "Rays of Light" GINGKO leaves in the National Treemuseum Von Gimborn Arboretum in Door in the Netherlands. Now, the weather is beautiful and the songs of the many birds around my art work sound so beautiful! "Rays of Light" Horsehair Raku Gingko Leaves. 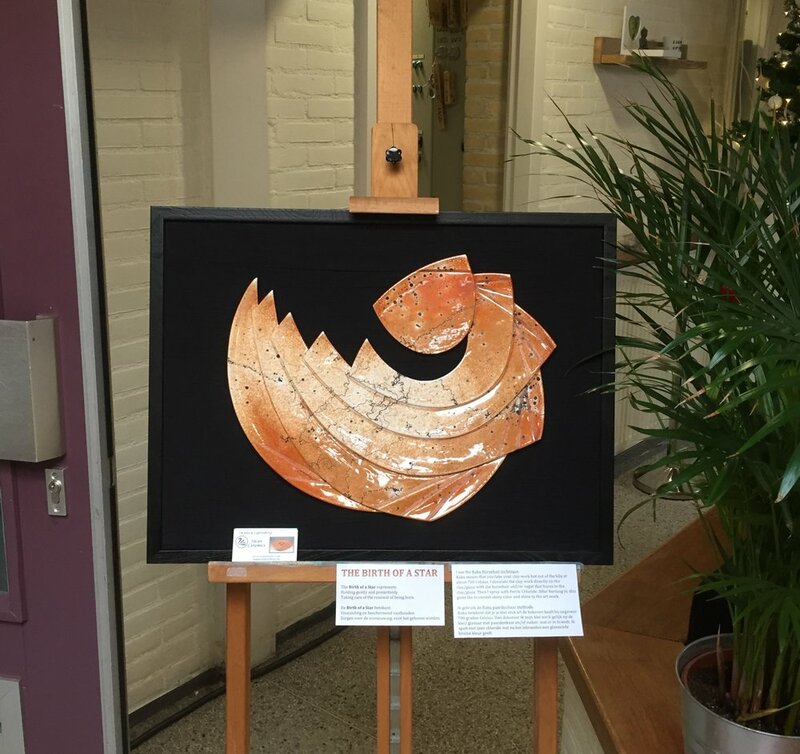 2 Artworks at the Good-bye ceremony of the mayor of Ouderkerk on Dec. 12, 2017. The city organized a farewell party for the mayor who governed the city of Ouderkerk aan de Amstel for 10 years. Artists who had exhibited in the town hall were asked to bring some works for the festivities. My works in the second entrance to the party. The Mayor saying good bye. 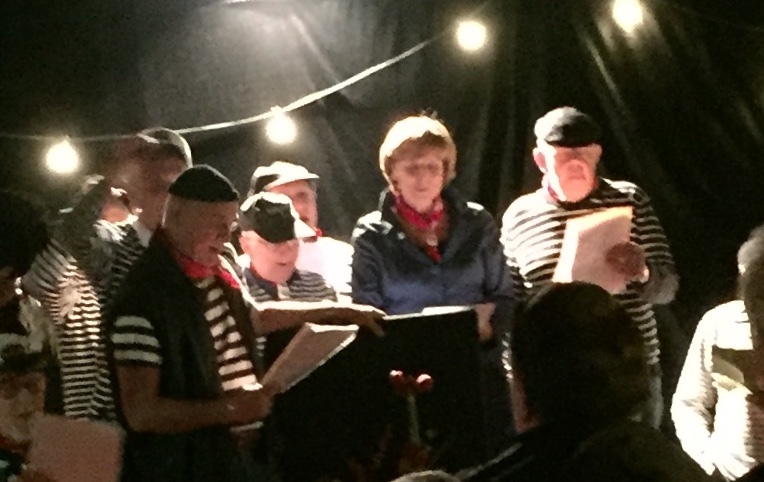 The Mayor singing with the Sailors Choir. 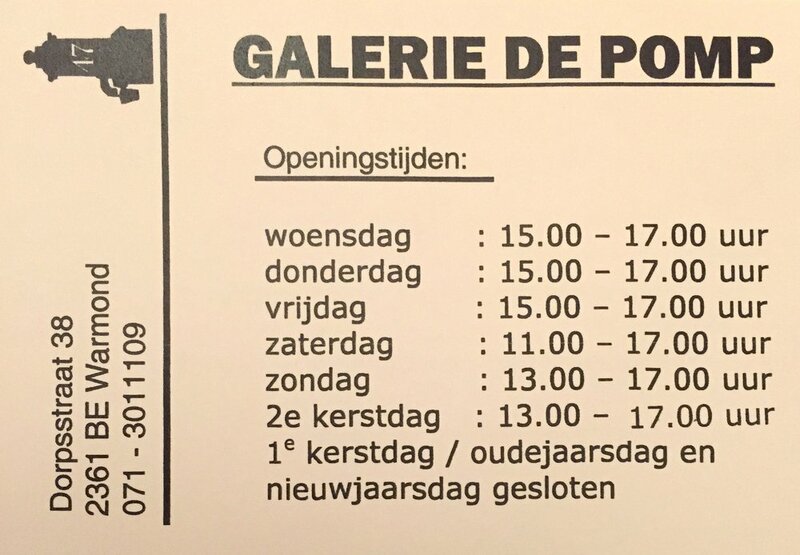 Opening of exposition at Galerie de Pomp, Warmond, Netherlands December 7, 2017 to January 7, 2018. Tomorrow will be the opening of my exposition at Galerie de Pomp, Dorpsstraat 38, 2361BE Warmond, Netherlands from December 7, 2017 till January 7, 2018. We are four artists sharing the space in the beautiful house. 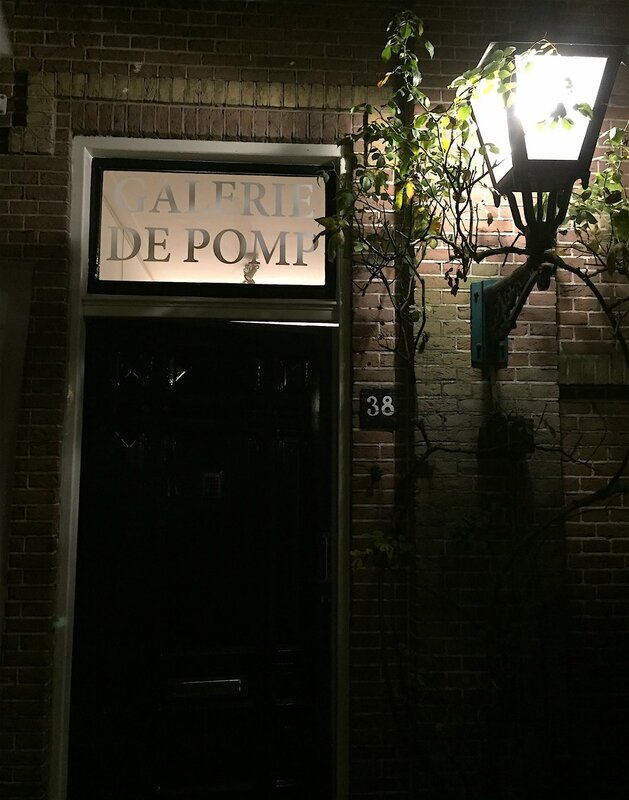 The gallery is in the old part of the village of Warmond in a very cozy neighborhood. 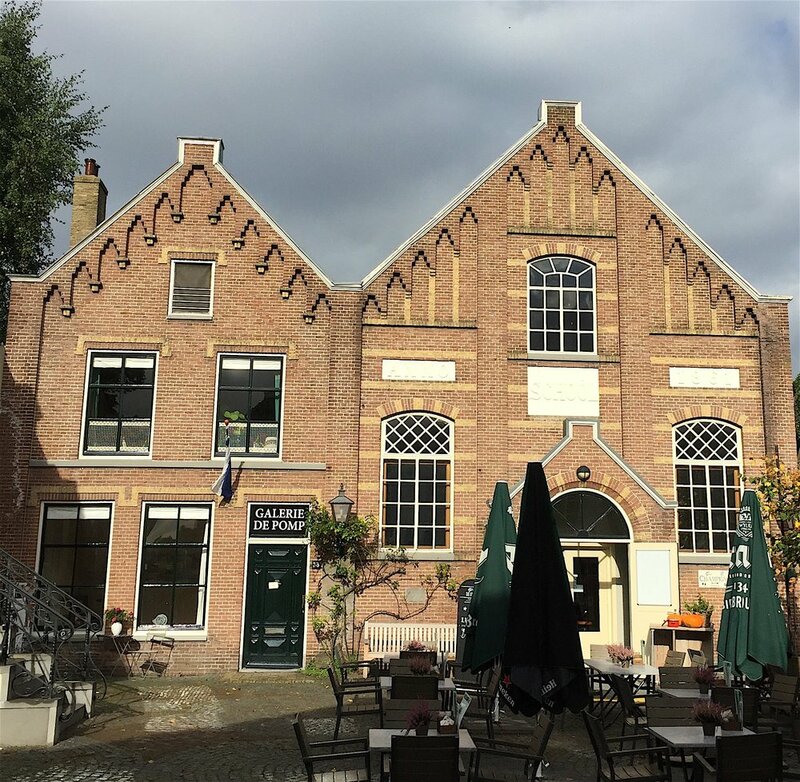 It is attached to the old school house, which is now a great cafe restaurant and next to the old Town Hall, which is also an art gallery. The Galerie de Pomp and the old school house. My artworks in the gallery. CLICK ON THE PICTURE TO THE RIGHT: it is a carousel of pictures!!!! Two dear friends at the opening: Joke Mol and Marian Hoffer. 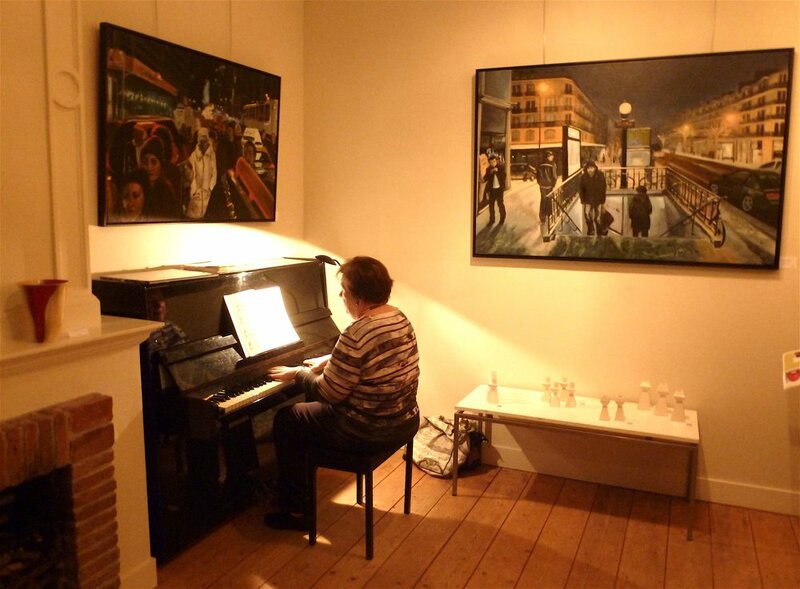 Marian van Tol-Vink playing during the reception! Thank you. 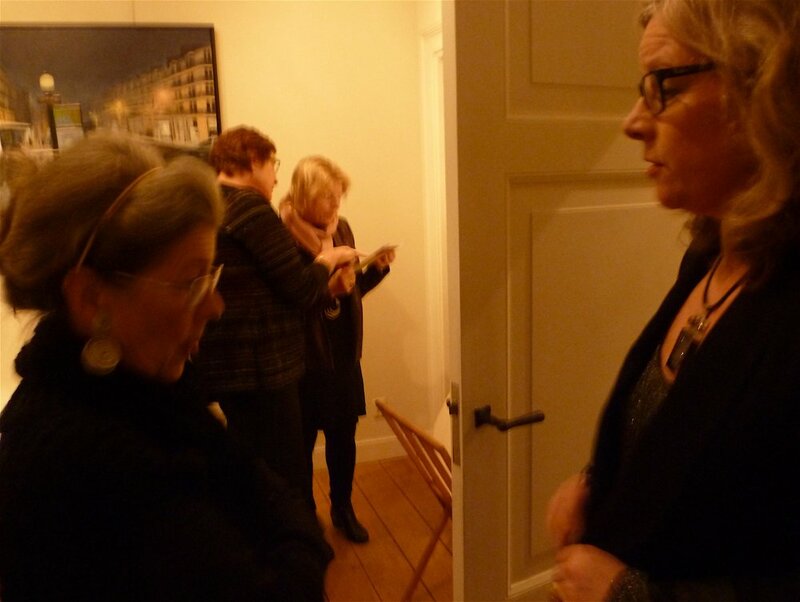 Clara Sikking the gallery owner and paintress Ingrid van Polen. Thank you so much Clara! 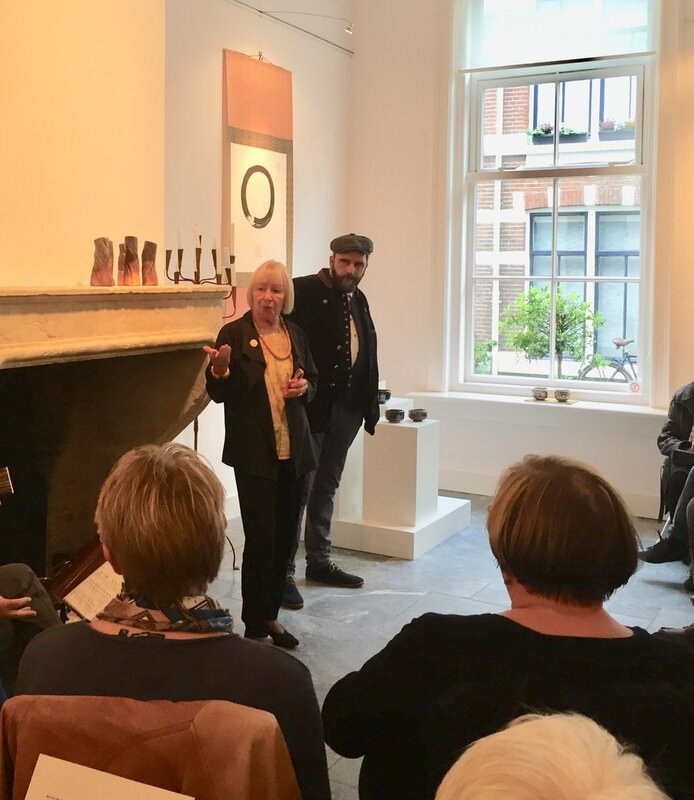 Last Sunday was the opening of "the International Ceramic Tea Ware Expo" in Utrecht in the "Keramisch Atelier" of Brigitte Reuter in Utrecht. The Expo was curated by Lou Smedts and Brigitte had done a wonderful job with the creation of a wonderful exposition in her gallery. Brigitte Reuter opened the exposition. Lou Smedts opening the exposition. Gilbert Ishin playing the lute at the opening of the exposition. Some of the beautiful art works! Please, click on this carousel for more images!